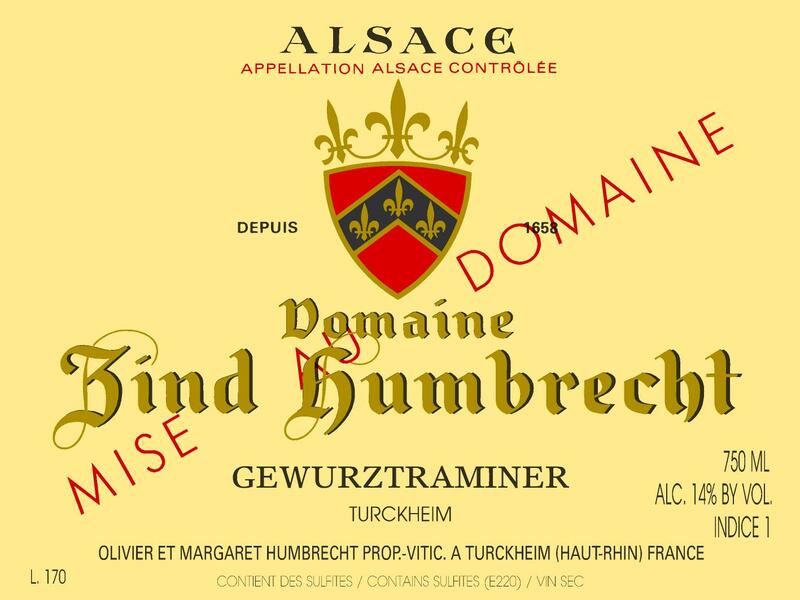 In a classic vintage, the oldest vines from the Herrenweg vineyards are vinified and kept separate as a single vineyard wine, all the other vineyards outside the Herrenweg and the ones under 40 years old within it are released under the Village Cru Turckheim. In 2015, the effect of the heat and drought was such that the berries on most vineyards couldn’t develop normally, which explains the small crop in a vintage that showed a good potential initially. After comparing the 3 different batches made, we decided to blend all of them together and not release any Herrenweg. Thus, the 2015 Turckheim, just like the 2014 in fact, contains a higher percentage of older vines. Véraison was early and fast, leading to a homogenous ripeness, but the Gewurztraminer grape variety really need more time to ripen properly its concentrated tannins, so they were all harvested in the second half of September. Healthy grapes, no noble rot, so normal ripeness and fast fermentation leading to a very dry wine. 9/2016: bright yellow colour. The nose exhibits the classic varietal aromatics, but is perhaps slightly more refined than usual and less extroverted. Ripe fruits and floral aromatics characterize this wine (citrus, litchi) but there is also an evident presence of spices. The mouth is rich but remains harmonious, mostly thanks to the very dry finish that avoids it being cloying. There is no sense of heaviness at all and the finish shows freshness. It is quite surprising as the acidity is low, but one should consider this wine as a white ‘red’ wine, meaning that the tannins replace the effect of the acidity. It is already very easy to drink.